There are specific events which lead to a requirement of a fire watch systems. Such events can be a malfunction or a complete absence of fire protective equipment or fire related systems. This may include, but is not limited to, fire sprinklers not working properly, fire alarm malfunction, water being shut down for repairs, fire sprinkler or pump being out of service, heightened risk of fire due to chemical storage, flammable material or toxic wastes thus making it a situation that can be very dangerous if left unnoticed. 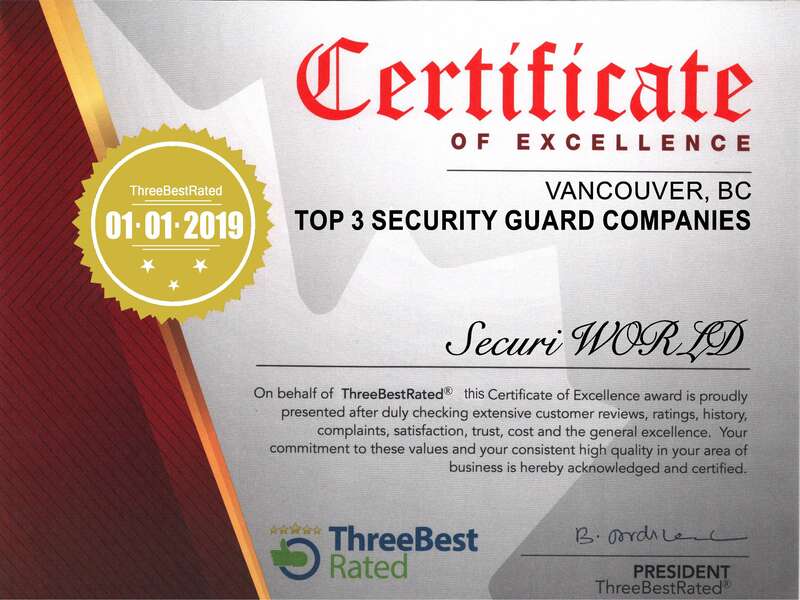 SecuriWORLD Security is the leader in fire watch security guards companies field and the right choice for you due to our decades of experience. We can provide knowledgeable and well trained fire watch security guards to look after your premises and ensure the safety of your employees and equipment. SecuriWORLD’s training ensures that each Fire Watch Security Guard understands and knows how to follow the state and Fire Marshall protocols and provide detailed reports. Upon the start of the fire watch, our security guards will become familiar with the company’s property and specific areas of heightened fire risk. SecuriWORLD Fire Watch Security Guards will understand why the watch is necessary, and where the potential risk factors are located. Our security guards will find out if any materials are highly flammable or toxic and can be a potential danger to the facility then they will ensure that those areas are secure as well as all the other parts of the premises. Due to our 24/7 dispatch center, we know that the fire watch guards are active and monitoring the area by staying in contact with our control center, you, and the fire department. SecuriWORLD Security Fire Watch Guards will keep a fire log that will be available to review for the fire department and the owner of the building. Since most clients are unaware of the fire related procedures, the fire watch security guard can provide information in case the risk turned into the reality. In case of detecting real danger, our Fire Watch security Guards will immediately transmit this information to the nearest Fire Department and its building residents. If the alarm systems are fully functional, the fire security guard will activate them and assist with the evacuation of the personnel and ensure they are brought to a safe area. Remember that fires are a real danger and should only be handled by experienced and trained professionals. We promise to provide you with a fully customized quote to adequately cover the area required for the fire watch. Our goal is your security and well being of your personnel and premises. We can deliver a reliable, effective, safe and secure solution to your fire watch needs.